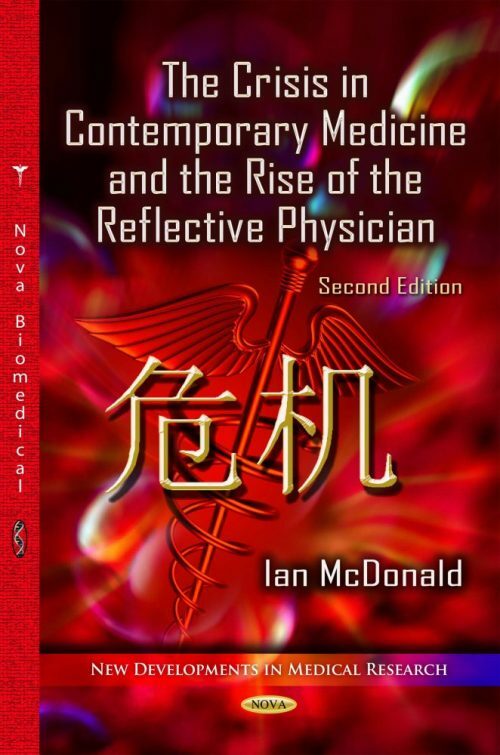 This book is an account of criticism and controversy surrounding modern medicine. Chapter One provides an overview of the contents. Chapter Four explains the contribution of the concept of ‘paradigm’ to the analysis provided. The argument is that, for all its fine accomplishments in medicine, the science has also damaged the art. This view is an echo of views expressed by eminent physicians early in the last Century, including William Osler and Francis Peabody. Concrete evidence of an ailing doctor-patient relationship is manifest in the form of some serious clinical problems. These include patient dissatisfaction, failure to take prescribed medication, failure of a doctor’s reassurance of normality to allay anxiety, resort to alternative medicine, use of patient advocates and ‘defection’ to alternative medicine. These we see as, not only damaging to treatment and health outcome, and very expensive, but indicators of a basic lack of trust. To compound the problem, the clinical process is essentially hermeneutic; an interpretive exercise. Hence it cannot be studied without interview and qualitative data analysis. Such methods are also indispensable for the understanding of the doctor’s management decisions, particularly the social context. The science of medicine is well served by biomedical research and education which has recently been reinforced by the rise of clinical epidemiology and evidence-based medicine. Of great concern is that the skills of sociology and the humanities have been spurned, even denigrated as ‘journalistic’ or ‘unscientific’. Not only has this prevented physicians from fully understanding the patient’s medical views and social predicament, but has robbed us of the ‘humanistic’ research methods needed to research the problems. These problems cannot be explained simply as side-effects of the impact of science. Rather there are much deeper currents. In Thomas Kuhn’s terms, medicine shifted paradigm from superstition to rationality in Ancient Greece, and again to scientific modern medicine at the time of the French Revolution. Medicine, it seems, is on the cusp of a further paradigm shift to a postmodern paradigm. The goal is that this brings the necessary balance between the already revitalized science and the ancient art of medicine. To achieve this, the establishment of ‘centres for the study of clinical practice’ to train ‘reflective physicians’, who will lead ‘clinical practice research’, with multidisciplinary studies of the process of clinical care is needed. This will mean applying research methods of empirical science, clinical epidemiology, biostatistics and evidence-based medicine, already in progress and, in cooperation with relevant academics hosted by the centre, interview techniques involving qualitative analysis or any other appropriate methods. An important function is to act as a catalyst to inject social science and humanities into the current modern medical curriculum.